Leading Manufacturer of brake linings from Delhi. 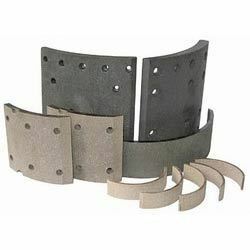 Backed by rich industry experience, we have emerged ourselves as one of the most prominent manufacturer and supplier of wide range of Brake Lining. These are fabricated from soft but tough heat resistant material with a high coefficient of dynamic friction. We follow a strict manufacturing process and use advanced for its production. These are widely used for automobiles & tractors. Our range of brake lining is widely appreciated because of its great quality, longer durability and extreme strength. Looking for Brake Linings ?